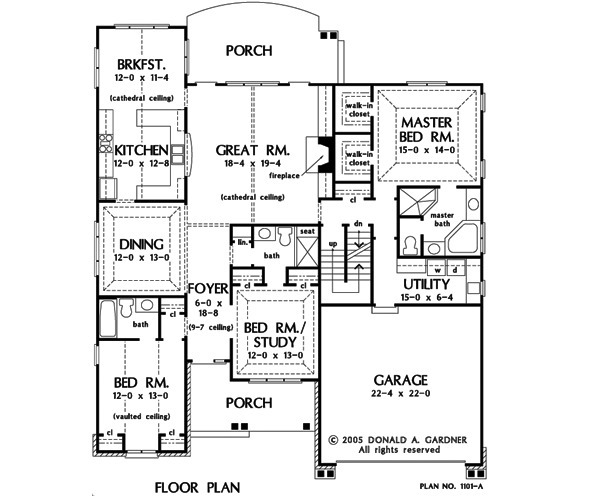 Fusing style with comfort, this design contains all of the luxuries of a modern floor plan. A decorative transom frames the front door of this low-maintenance exterior, while grand, rectangular windows add height. Ceiling treatments accent every living space and bedroom, and even enhance the foyer. The large great room includes rear porch access, as well as built-in shelves and fireplace. The kitchen flows into both the breakfast and dining room, enabling quick steps to the eating rooms. Secondary bedrooms turn into full, guest suites by featuring full baths in each, and the master suite includes two walk-in closets and corner bathtub and shower. Note the large utility room just off the garage. 1st Floor: 2159 Sq. Ft. 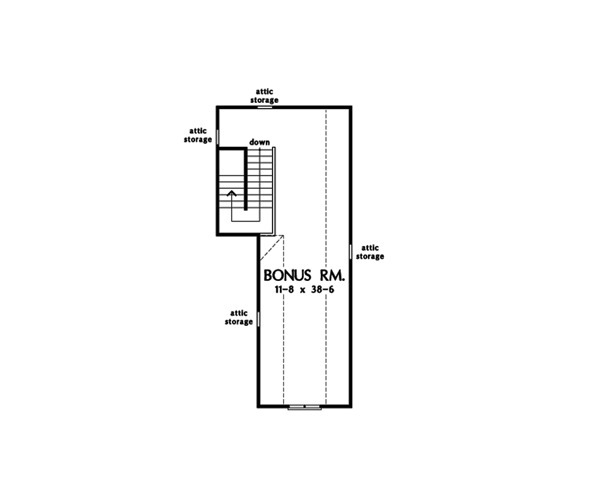 Bonus Room: 573 Sq. 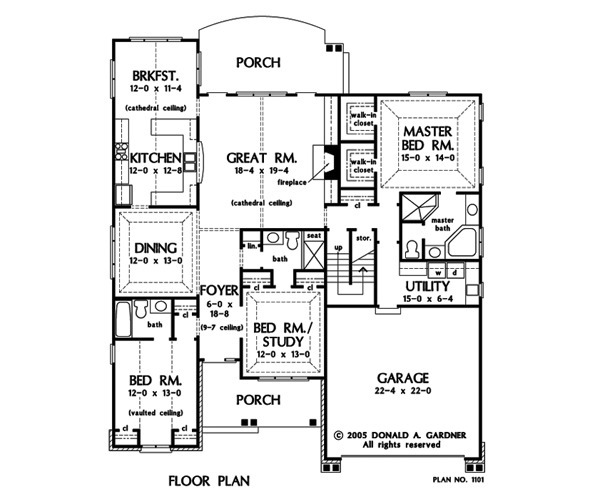 Ft.
House Dimensions: 54' 11" x 63' 4"
Bedroom #3 (Vaulted): 12' 0" x 13' 0" x 13' 4"
Bedroom / Study (Tray): 12' 0" x 13' 0" x 11' 2"
Bonus Room : 11' 8" x 38' 6" x 8' 0"
Breakfast Room (Cathedral): 12' 0" x 11' 4" x 15' 8"
Foyer : 6' 0" x 18' 8" x 9' 7"
Great Room (Cathedral): 18' 4" x 19' 4" x 18' 8"
Kitchen (Cathedral): 12' 0" x 12' 8" x 15' 8"
Master Bedroom (Tray): 15' 0" x 14' 0" x 11' 8"
Porch - Rear : 21' 6" x 8' 0" x 11' 1"
Porch - Front : 17' 5" x 7' 0" x 9' 7"
Storage (Other) (Sloped): 3' 4" x 3' 0" x 0' 0"
Utility Room : 15' 0" x 6' 4" x 9' 0"